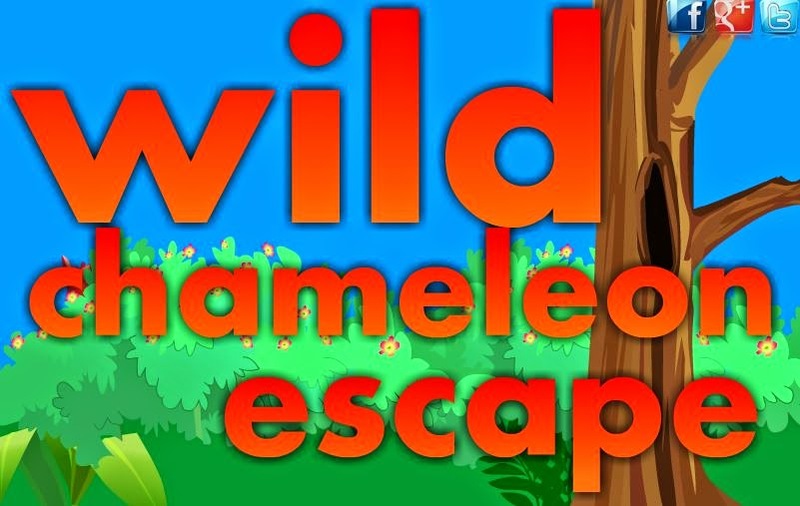 Wild Chameleon Escape Walkthrough Solution - a step by step guide with detailed explanations to the puzzles. 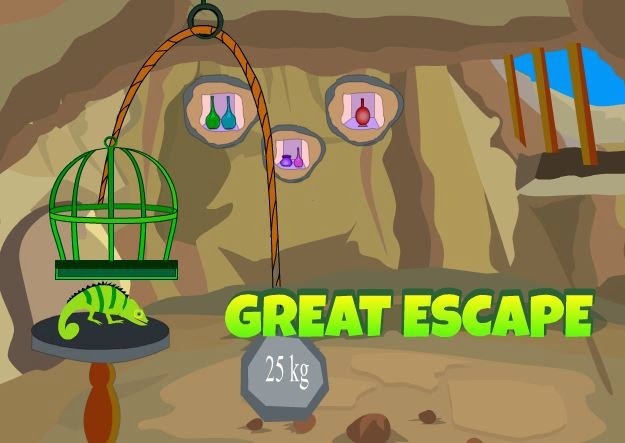 If you are stuck, then this guide will help you to get the chameleon to escape. 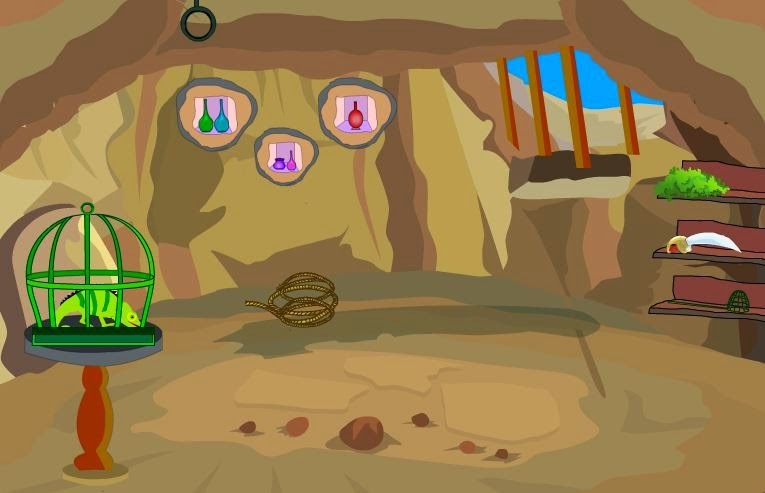 You can play this point-and-click room escape game here. 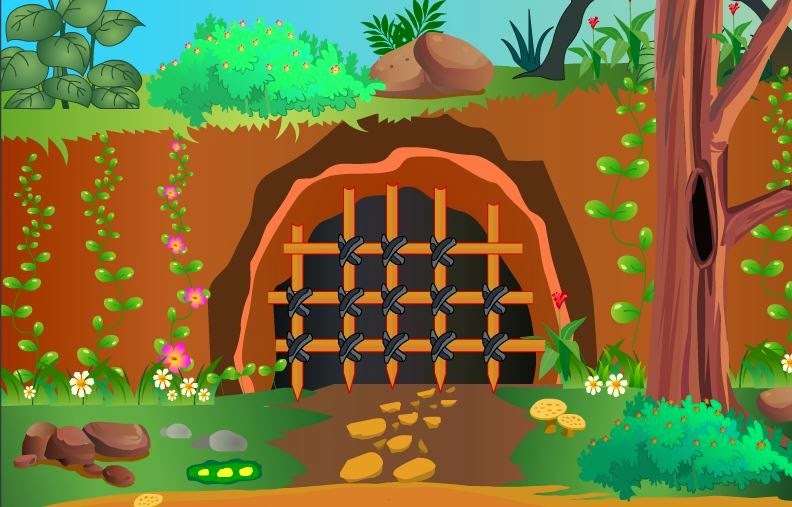 This is a very easy escape game and should take you less than 20 minutes to solve. The Chameleon is trapped in the cave. Some how you know that and decide to help. So try to release the Chameleon by using object. Good luck! Pick up a green bug in the dirt bottom left. Pick up a piece of wood and a nail at the base of the tree. 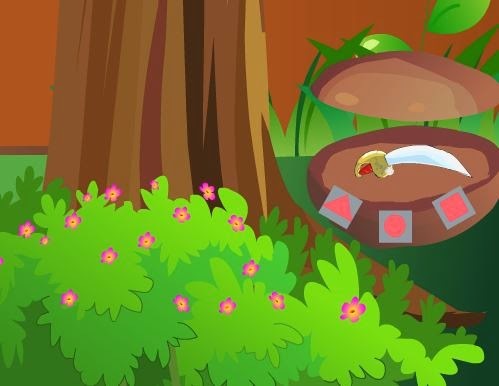 Take an egg and a bug from around the hole in the tree. 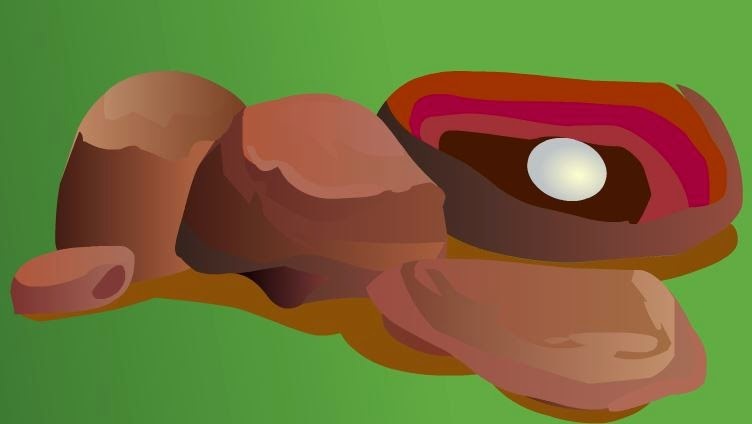 Take a brown rock from the area above the cave entrance. 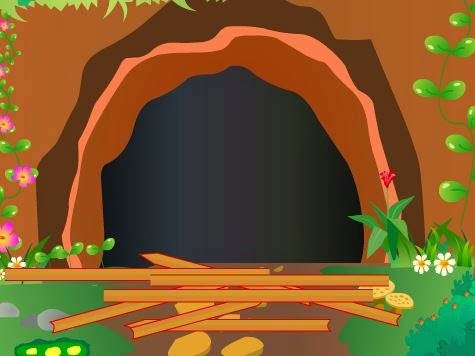 Move the bush above the cave entrance to get another nail. Take a bug from the bars on the cave entrance. Zoom onto the brown rock above the cave entrance. 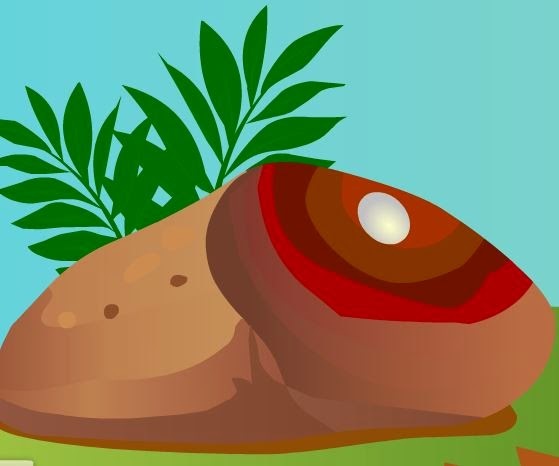 Place the 3 bugs on the right side stone. The stone will open and you get another egg. Take it. Zomm in on the dirt on the left. Place the 2 nails at the right-most brown area. Use the stone to hit the nails. Zoom in on the green + yellow patch at the bottom, just left of the path tot he cave. 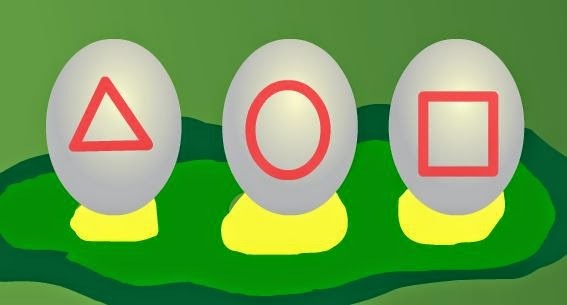 Place the 3 eggs, each on a yellow circle. You will get the code: triangle, circle, square. Zoom in on the bush at the base of the tree. Adjust the 4 grey squars on the rock to match the above pattern. Use the sword to cut open the enterance. Pick up the rope. Attach the rope the the hook in the ceiling. Take the golden coin from the blue bottle in the opening in the wall. Zoom in on the mushrooms, just right off the path next to the tree. Place the coin on the big mushroom. Attach the weight to the rope.